Whilst mediation is a voluntary process, it has received significant support from the judiciary. Parties are encouraged to engage in, or at the very least consider mediation as an alternative to continuing with litigation. Sir Alan Ward, in a recent English Court of Appeal case, has provided lawyers with an arresting image of judicial struggles to encourage mediation amongst litigating parties. As he references the proverbial horse, and while acknowledging that you cannot compel it to drink, ‘you can make it run around the litigation course so vigorously in a muck sweat it will find the mediation trough more friendly and desirable’ (Wright v Michael Wright Supplies Ltd. & Anor  EWCA Civ 234). In Hong Kong, the judiciary has been supportive of mediation as an alternative to litigation. With the introduction of Practice Direction 31, consideration of mediation has become a required component. Although mediation may be viewed as an opportunity, some lawyers and litigants may view mediation as an impediment to their control of the case or as an inconvenient hurdle that must be overcome. Why might litigants and lawyers view moves to encourage mediation as an inconvenience to the resolution of commercial disputes rather than as an opportunity? It is a truism that parties generally believe in the inherent rightness of their position and their eventual vindication by a judge. It is also possible for lawyers to be convinced of the rightness of their case. In such circumstances, it can be difficult to convince lawyers and parties that mediation can serve any useful purpose. If it seems obvious that they will be victorious at the end of the day, why should a party negotiate a compromise settlement? The perception is that there is nothing to be gained from attempting a negotiation when the chances of winning the case are so high. In addition, parties and their lawyers may be concerned that by engaging in the mediation process they risk disclosing information, which could assist the other side. For parties are engaged in litigation, it can seem as if there is little chance of a principled negotiation. One of the key requirements for a successful mediation is that both sides are acting in good faith. In an absence of good faith, the open communication can become an opportunity for exploitation. An unprincipled party may attend the mediation with the intention of seeking disclosures from the other side. Although the confidentiality of the mediation process now has a statutory basis (Mediation Ordinance, Cap. 620), it is widely acknowledged that what is learnt in mediation cannot be unlearnt. An unguarded disclosure may empower the unprincipled opponent to engage in a fishing expedition for information. If a client is convinced of the lack of good faith in their opponent, then mediation can seem like an unnecessary hurdle. Even with the power to determine the minimum required participation, any engagement can seem excessive and unfair. It is impossible to compel good faith participation in negotiations, and regardless of the skill of the mediator, it is also impossible to compel good faith participation in mediation. Further, if there is significant ill will between the parties, then mediation may raise concerns about emotional distress, or even safety issues. As the oldest method of ADR, negotiation retains its allure as an effective means of resolving disputes. If the parties can negotiate between themselves, what value can a mediator add to the process? Equipped with experienced legal teams, the parties should be able to negotiate a settlement without a mediator, if there is one to be concluded. This suggests that if there is a ZOPA (a ‘zone of potential agreement’) then the parties and their lawyers will be able to locate it. 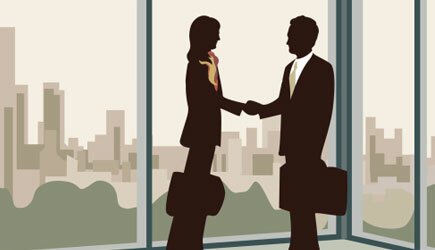 By uncovering interests and motivations, the mediation process is designed to focus on feelings and needs that are perceived to be irrelevant to a commercial dispute. In commercial disputes, plaintiffs are typically more focused on obtaining a monetary amount to reflect losses or damage caused. Companies may exist as a legal entity, but they do not possess feelings or needs. In this context it can seem that mediation has nothing to offer commercial disputants. However, this presumption would be incorrect and an under-estimation of benefits which can come from mediation. There are three key benefits that a skilled mediator can provide through the mediation process: control, understanding and creativity. The chances of both parties emerging happy from a judgement are remote. It is this win-lose dynamic which can be so appealing to parties with confidence. However, once a case goes before a judge there are no guarantees as to how it will be decided. In such circumstances a party may come away the winner, or they may be the loser. This is the real opportunity presented by mediation – the parties are not handing over their fate to a third party decision maker. Mediation provides a chance for the parties to regain control. This sense of control can be very important for parties who have been trapped in long-running conflict. The dispute will have altered their lives in ways, which they may not have anticipated. Even if it is a commercial dispute and the parties are legally represented, the dispute will consume mental and emotional resources. Corporations act through their people and the individuals involved in running the business will need to spend time in preparing the case and considering their options. The dispute may represent a breach of contract, however, underlying that contract will have been a relationship based on trust. Although companies execute contracts, it is individuals who make and perform the reality of agreements. Often a breach of contract will also have an impact on the individuals involved who feel that a personal relationship has been betrayed and their sense of personal trust which has been breached. As a facilitated negotiation, a solution may be imposed by circumstances, but a third party decision-maker does not impose it. When comparing mediation to other dispute resolution processes, the importance of the parties in taking control of their dispute is critical. Mediation is not a passive process. The parties need to understand that in order to achieve a settlement, they will need to do the work. For parties who are disenfranchised by traditional litigation this can present a welcome change. However, some parties may find this intimidating. Mediation provides the structure that can facilitate a negotiation for all parties. The mediation process can ensure that all issues are dealt with and that parties are able to consider all the aspects of their dispute. For parties lacking in confidence, the mediation process provides a framework for discussions with ground rules and caucuses, where necessary. The use of a skilled mediator makes it more likely that the negotiation will be productive especially in situations where there exists an imbalance of power or information. Although some mediators measure success in terms of settlement agreements, a successful mediation may not result in a settlement. A successful mediation should provide a constructive environment for parties to increase their understanding of the dispute. One of the key tasks of the mediator is to assist parties to understand perspectives other than their own. This can be required to trigger options for settlement. Parties often commence their mediation with seemingly intractable positions. The mediation process can help to expose the perspective of the other side, or reveal elements of the party’s own perspective, which were previously hidden. By achieving a greater level of understanding about the dispute, parties may be able to negotiate more constructively. There is also value in the parties increasing their understanding of the dispute, how the dispute occurred and potentially how they might react differently in future. A productive mediation will equip the parties with greater tools of comprehension, negotiation or understanding to deal with future disputes. In situations where there is concern about the good faith of the other side, it may not be possible to settle, but the parties may achieve enhanced understanding of their part in the dispute. Parties locked in conflict may find that their ideas about possible settlement options narrow to meet their beliefs about the conflict. By assisting the parties to explore the underlying bases for the dispute, mediators can provide a new vista for parties to consider in terms of settlement. Mediators as third parties with no vested interest in the dispute are also able to act as angels of reality – by testing assumptions that each party may have made about the motivations and desires of the other side, and even their own, this can assist the parties to move beyond a negotiation stalemate. For example, the courts are generally limited in only being able to provide a monetary amount in damages. However, parties may be able to agree a settlement that meets their needs through the provision of services or future work. A mediator can inject ideas into a discussion with a party, which may not be open to their lawyers. For these three reasons, mediation should be considered a powerful tool in any litigation lawyer’s toolkit. Even for commercial disputes, the parties are people with all the foibles and strengths, which come with individuals. Mediation provides a valuable means of unlocking the potential in the dispute and filling the ‘trough’ with opportunities for control, understanding and creativity.